Twist is a Doist-run team communication app for small and medium-sized teams with a clear and functional interface that focuses on a more productive workplace. 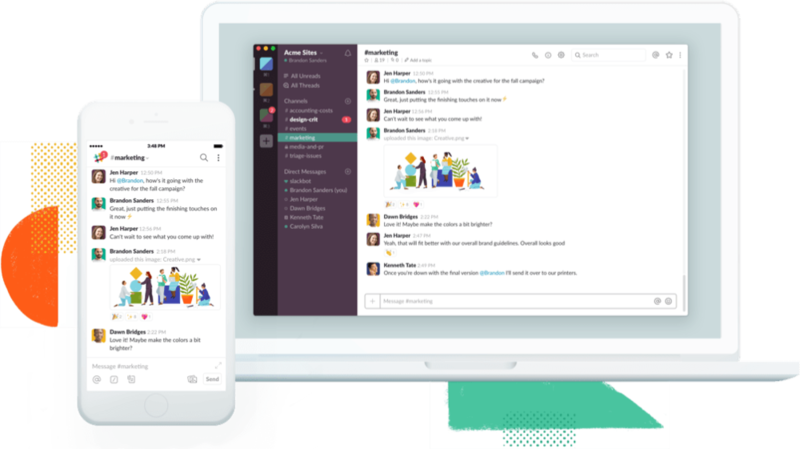 Twist allows you to avoid endless email threads, but also chaotic group chats that would weaken your productivity. And we’ve been impressed by Twist since the launch. When I started collaborating with Francesco for the Keep Productive community on a more regular basis, we decided to use Slack for our small team because it seemed like the automatic choice to make. Slack is, by far, the most common app when it comes to professional chats and our motivation was basically out of convenience. Everybody knows about Slack, after all. Don’t get me wrong, Slack is a great app with tons of awesome features, but for our small team of 3 was a bit too much, to be fair. We never managed to use most of the features provided, not to mention that we all work at different hours of the day, even if our time zones are pretty close, so knowing when someone was online, statuses and things like that were totally unnecessary for us. In a nutshell, our small team needed something simpler and more organized. The first impression I got when I landed over Twist was “this is the heaven of organized people”. In fact, one of the best features of this app is that, in addition to the traditional channels, conversations are divided by threads instead of endless chats within each channel (Slack introduced the option to reply to specific message and build threads from that, but it isn’t actually that straightforward, to be honest). Another great thing is that you don’t have to necessarily add every single team member to a channel, only those who need to be notified about that topic. I don’t know about you, but “calmly catch up” sounds great for an introvert remote worker like me. Another thing that I love about Twist compared to Slack is that there is no online presence indicator, this way I can read my messages whenever I want and decide what to do with them. If it's something I can quickly reply to, even from the mobile app, I can do it right away, but if it's something that requires a longer reply typed at my laptop, I can just mark the message as unread without having to worry about appearing online or offline. Because we all know that if you see that a teammate is online, you expect an immediate response. Twist offers a couple of useful additional features. For example, you can set yourself on Vacation Mode and avoid notifications altogether until you get back. This is nice because it can be used even if you don’t necessarily go on vacation, maybe you just need a couple of hours of focused work and snoozing notifications can help a lot. Related: How to Get Dark Mode on Todoist for even more focused work. Another great feature (my personal favorite) is the option to directly add a thread or even a single message as a task in Todoist without even leaving the app. Finally, you can manually choose who’ll be notified in each thread, no matter the members of the channel. This way, people will be notified only about the things that directly concern them. A new updated review will be published soon, stay tuned!